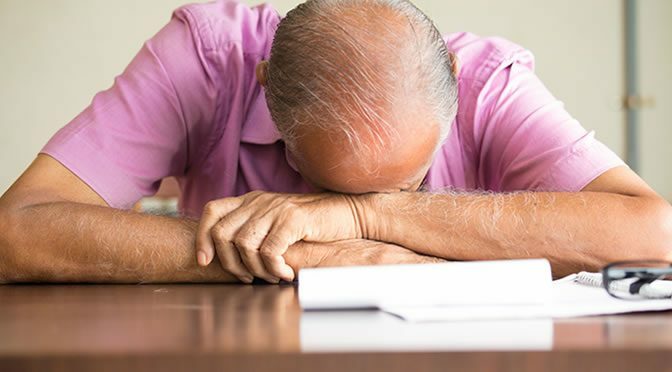 Scientists have now discovered more evidence that chronic fatigue syndrome is not a mental illness but a physical disorder. Chronic fatigue syndrome (CFS) is an abnormal condition with persistent fatigue that affects everyday life and won’t go away with rest. Many physicians are confused by this condition and misdiagnose it as a psychological disorder. But a new study suggests that it is actually a physical disorder caused by bacteria in the gut. For the first time, researchers from Cornell University correctly diagnosed myalgic encephalomyeletis/chronic fatigue syndrome (ME/CFS) in 83% of patients through their blood and stool samples. “Our work demonstrates that the gut bacterial microbiome in chronic fatigue syndrome patients isn’t normal, perhaps leading to gastrointestinal and inflammatory symptoms in victims of the disease. The patients microbial DNA from the stool samples and inflammatory microbial agents in the blood were compared with healthy people in the control group. The researchers were then able to identify different types of bacteria which were low in the patients. The results showed a much lower diversity of bacteria and fewer bacterial species such as Bifidobacterium, which are known to be anti-inflammatory in ME/CFS patients. Low levels of Bifidobacterium have previously been seen in IBS and type 2 diabetes, Crohn’s disease and ulcerative colitis patients. Bifidobacteria are one of the major types of bacteria known as lactic-acid bacteria, which are generally used as probiotics. In addition, there were specific indicators of inflammation in the patients’ blood suggesting intestinal problems and a leaky gut, causing bacteria to enter the blood. Consequently, the immune system response to the bacteria in the blood was making the symptoms even worse. The study found that treatment with Bifidobacterium infantis was beneficial in ME/CFS patients. The research team are planning to look for evidence of fungi and viruses in the gut to see if these, along with bacteria, contribute to the illness. This study was published in the journal Microbiome (Giloteaux et al., 2016).